Hi folks after visiting and looking in cloud of internet for developing SSIS solution from scratch, I didn’t find any proper link. I would like to provide a new idea towards the success of Best Complete SSIS architectural Solution. So here is tips/Steps towards same . 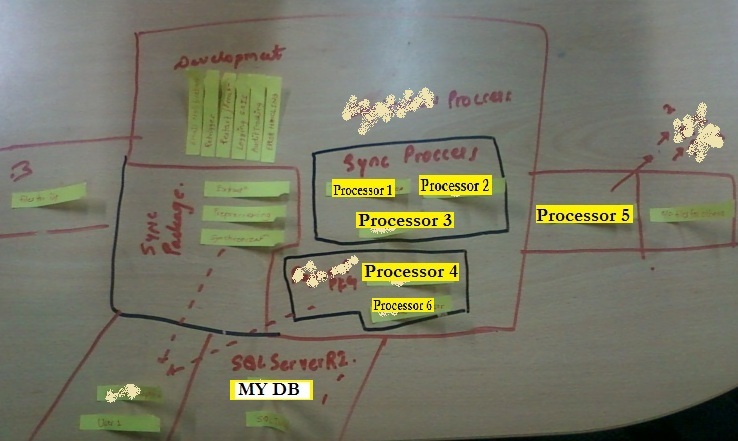 Example :Here am going to explain you by one of current BI project Architecture Development . Project requirement id to have 6 processor i.e. Batch job process which can run at run time as well through Scheduling and with lots of addition functionality.So i started my research based on that. Due to Security i am not able to provide you all the details of my project but you can recognise all the things for sure. So i just go on writing all the project component on the notes as show in following diagram in any order. Here is magic convert all your thoughts to note and note to Proper flow and Proper Flow to Actual Architecture. And After that it just how you are expert with Visio to actual Architecture diagram. 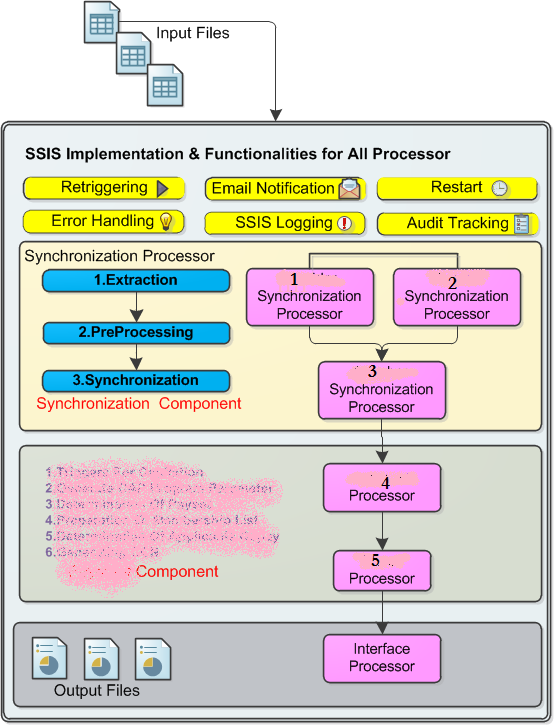 So just Dont get panic with big SSIS architectural it just form with above simple steps. If you want some more Details then let me know geeks . Nope This Architecture is not Fixed it is Based on How you are going to Use your Processor Or You can say Dependecy of your Processor. And this is just one way to form any architechture and all Processor information is Based on Your Actual Development towords each solution. I will update more detail in upcoming section. Pleses subscribe blog if you want dear for more updation. is this architecture fixed for all SSIS project or it differs depends on our projects? 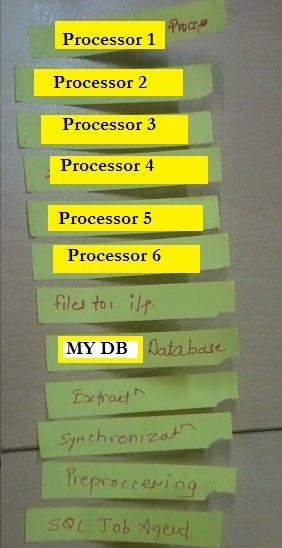 can u give some information how exactly processors ie.1,2,3,4,5,6 works? can u give some more information?